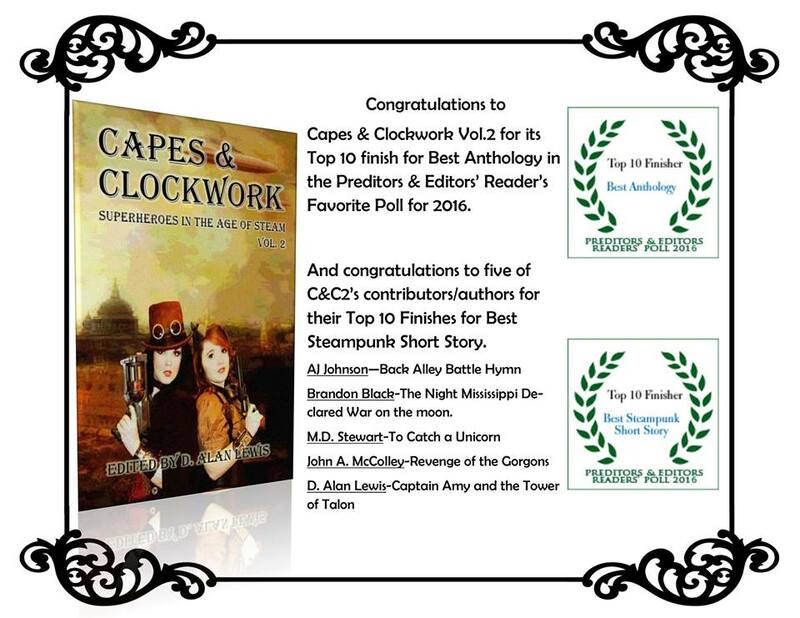 My short story, “The Night Mississippi Declared War on the Moon,” which was published in Dark Oak Press’ Capes and Clockwork 2, won fifth place for overall Steampunk short story! Reviews, reviews, reviews! We need reviews! If you’ve read Cairo By Gaslight, why not post a review on Amazon.com? If you’ve read Capes and Clockwork 2, why not post a review? And if you haven’t read them, pick up a copy and read them today! I’d very much appreciate it. Jan 3, 2017 | Categories: Black Tome Books, By Gaslight, Steampunk, Steampunk Fiction, Writing | Tags: Black Tome Books, Cairo By Gaslight, Dark Oak Press, Steampunk, steampunk fiction | Comments Off on Reviews!